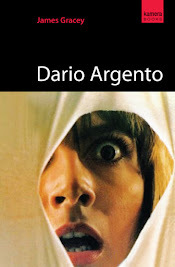 The opening scenes really succeed in setting the tone of the film as an outrageous horror/comedy. Bizarre miniature aliens are battling in a spaceship. They eventually flush their unseen enemy out of an air-hatch and into space. It crash lands on earth in the 1950s near a university campus. On what looks distinctly like Lover’s Lane, two college kids make out in a parked car. The guy notices the comet and goes to see where it landed leaving the girl waiting in the car. On the radio is an announcement that a psychotic lunatic has just escaped from a nearby asylum. Sure enough, he shows up and butchers our hapless sorority sister with an axe. Meanwhile, the frat boy discovers where the comet crashed and as he bends to investigate the bizarre pod-like object, a slug-like creature shoots out of it and straight into his open mouth. After this wildly inventive opening we jump straight to ‘present day’ 1986. Ha, look! It’s the eighties. They were a bit rubbish at times weren’t they? Geeky students Chris Romero and JC Hooper (hmm, those names sound familiar somehow) console themselves over the fact that they don’t have girlfriends. Chris thinks that by joining a fraternity, he will impress the lovely Cynthia Cronenberg. During pledge week they are challenged to steal a corpse from the university hospital to prove their worth to the fraternity. Accidentally wandering into a cryogenic experiment, the body the two students try to steal turns out to be that of the young man from the 50s who discovered the parasites at the comet crash site. He also turns out to be still very much alive. Well, sort of. His body is full of the hibernating parasites and when Chris and JC try to move him he opens his eyes and they scarper. The body shuffles zombie-like towards the campus and eventually its head explodes scattering a multitude of the slug-like parasites. 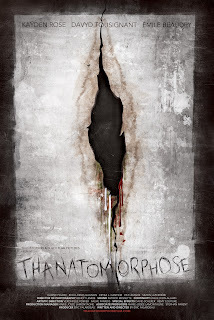 They begin to take over the bodies of anyone they encounter; by entering their victim’s mouths, laying eggs inside the brain and rendering their hosts mindless, murderous zombies who bloodthirstily shuffle about killing all who cross their paths before their heads unceremoniously explode releasing more parasites. Night of the Creeps perfectly balances its humour and horror and all the various in-jokes don’t really detract from the unfolding story or tension. 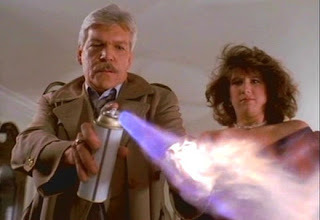 Tom Atkins spits most of the film’s most memorable lines including when he informs the sorority girls their prom dates have arrived: ‘I got good news and bad news girls. The good news is your dates are here. The bad news is they’re dead.’ Classic. The dialogue between Chris and JC is also suitably barbed and witty and the two display great chemistry. Adding even more insight and depth to the characters and their relationships are a couple of scenes that prove quite unexpected and touching, given the deliriously tongue-in-cheek tone of the film. 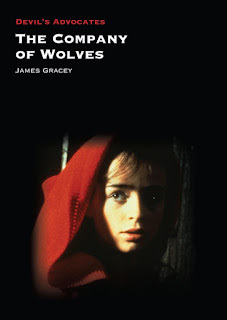 as knowing and self-referential as it is, the film never becomes annoying. When Chris discovers that JC has been attacked by the parasites and has taken his own life rather than become a mindless killing machine, he breaks down inconsolably at the death of his best friend. This is something that rarely happens in horror films. Usually when bodies of friends are discovered the action moves on as the characters don’t have time to react in any other way than to scream. They never usually display as much emotion as this. 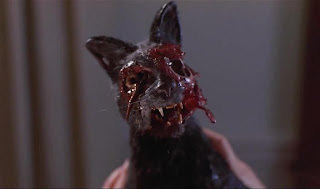 Despite the hidden depth of the writing, Night of the Creeps is not averse to piling on the gore too. Stand out scenes include the bus crash where the frat boys fall victim to the parasites and a number of the splatterific exploding head scenes – which, thanks to some film called Scanners – are often sorely overlooked as great examples of, well, exploding head scenes. When the sorority house has become overrun by the zombie suitors and Chris finds himself trapped in the garden shed with nothing to defend himself with but a rusty lawnmower – Dekker provides us with yet more gory fun and a moment that would inspire Peter Jackson when he came to direct his own splashy-red and rabid opus Braindead. There is also a wonderfully tense scene involving JC trapped in a toilet cubicle while outside the parasites that have just exploded from an unfortunate janitor's head scuttle about menacingly. 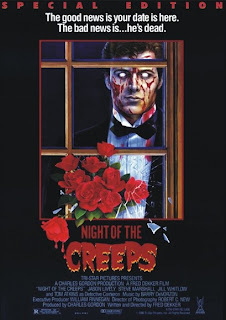 Night of the Creeps is unpretentious and nostalgic bliss for those who enjoy a good old fashioned B movie. Viewers will no doubt enjoy the plethora of in-jokes and references to other fan favourites. Even those who aren’t complete horror geeks will still get a kick out of this irresistibly barmy and no holds barred romp.